The Neurological Rehabilitation VR project at the Neurological Recovery Center in Fort Worth, TX, is using a customized GeoDome Panorama with their OptiTrack Motion Tracking system. 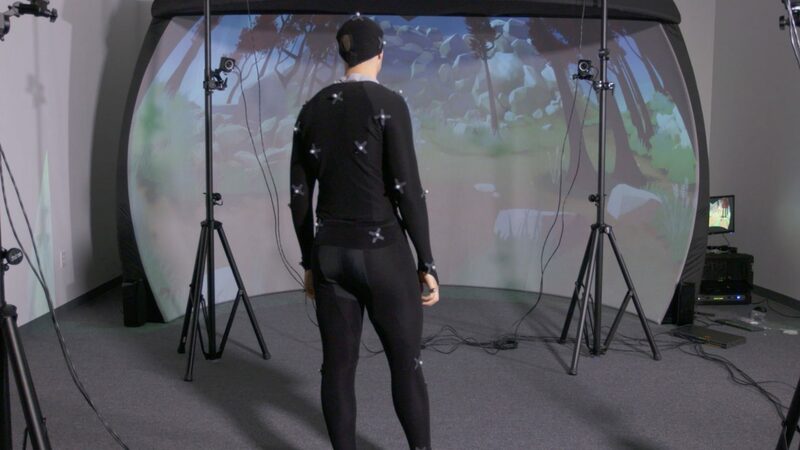 They’ll be creating customized virtual reality games for upper and lower body stroke rehabilitation using the motion tracking system and the GeoDome. 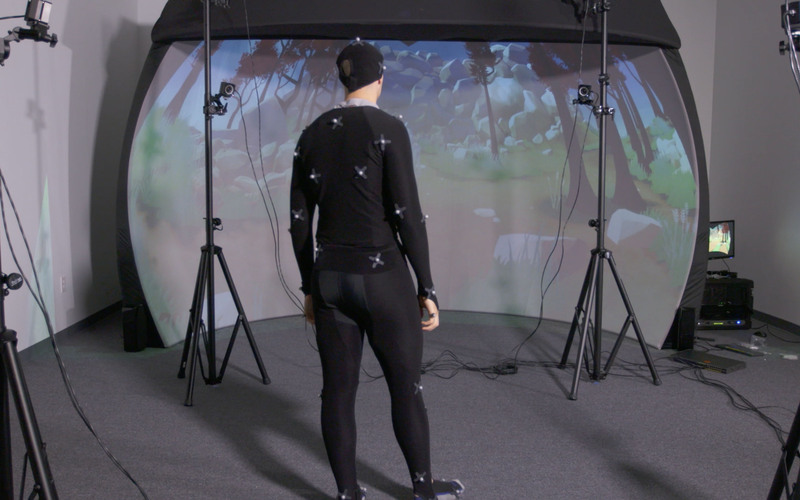 Using the OptiTrack system, each patient’s full body can be tracked and the motion data synced to an avatar that they can see on the GeoDome screen in real time. The embodiment of the virtual avatar with that of the patient is crucial for success of the therapy. Neuroplasticity of the brain is the underlying concept for the creation of these games and therapy. The brain has the ability to form and reorganize synaptic connections, both functionally and physically in response to new learning or physical therapy following an injury to its brain cells. Therefore, an individual has the chance to full recovery after experiencing a traumatic brain injury. But the brain forms new connections better when the task you are performing has a functional and meaningful end goal. With virtual reality, the types of games and scenarios we can create are endless and we can also customize them according to the patients’ needs. This helps the patients immerse themselves in a game and keeps them engaged and excited. We are also able to quantitatively view the progress of their therapy through scores and metrics. Having access to patients every day who are willing to try VR sets us apart from other companies making health care games. We receive feedback with every iteration of the game and constantly improve upon the content. The games are intended for all patients willing to try the games. The clinic helps rehabilitate more than 100 patients, with the youngest being 3 and the oldest 91 years old, and the variety of patients includes cerebral palsy, spinal cord injury, traumatic brain injuries, seizure therapy and Parkinson’s. Next post: Children’s Museum of Manhattan – Let’s Dance!